Today we will be introducing the recipe for one of our soaps from the first trimester set. 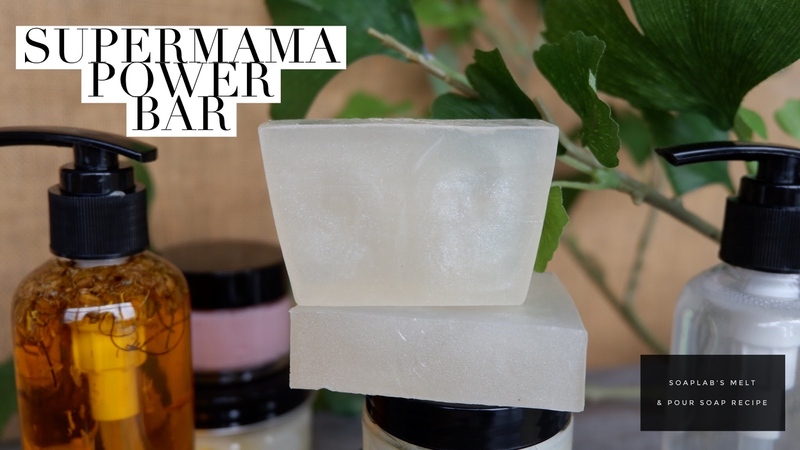 The Supermama Power Bar is for newly pregnant mothers who are still coping with nausea and the other discomforts that come with being pregnant. The soap uses an aloe vera soap base with eucalyptus and spearmint essential oils. The aloe vera soap base acts as a moisturizer for the skin and also can relieve inflammation of the skin. The eucalyptus and spearmint essential oil has antiseptic qualities which is helps repair and soothe damaged skin. It also helps to alleviate muscle aches or sores as well as a great stress reliever. The essential oils also helps you build immunity. With these simple recipe, your pregnancy journey can be a relaxed one. Enjoy!